Berkshire Hathaway (BRK.A - Get Report) , (BRK.B - Get Report) held its legendary annual shareholders' meeting over the weekend, and of course, CEO Warren Buffett and Vice Chairman Charlie Munger were the stars of the show. But while markets should have been focusing on them (or on Jim Cramer's Boot Camp for Investors in New York), it was once again Elon Musk of Tesla (TSLA - Get Report) and his seemingly never-ending thirst for attention that made the headlines. During his recent, odd earnings call, Musk referred to business moats as "lame," saying that if "your only defense against invading armies is a moat, you will not last long." For those just joining us, in business a moat is a competitive advantage created by ownership of a strong brand name that discourages entry into the firm's markets. Buffett has made a career of investing in firms with "moats" -- think Apple, Coca-Cola (KO - Get Report) , Kraft Heinz (KHC - Get Report) , Burlington Northern Santa Fe or See's Candy. 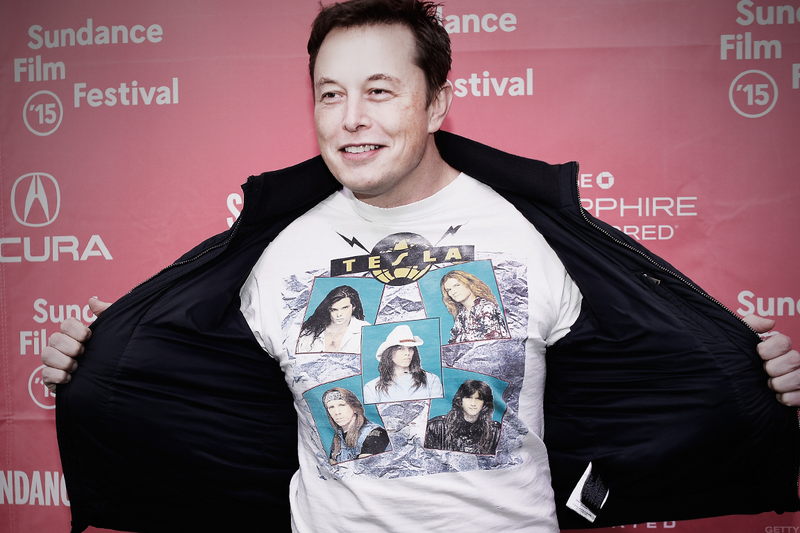 Buffett countered Musk's remarks on Saturday at Berkshire's annual meeting, saying: "Elon may turn things upside down in some areas. I don't think he'd want to take us on in [See's] candy." But Musk quickly made like President Trump and tweeted back: "Then I'm going to build a moat & fill it w candy. Warren B. will not be able to resist investing! Berkshire Hathaway kryptonite ... I'm super super serious." Musk also tweeted: "I'm starting a candy company & it's going to be amazing." That's probably as good an idea as Musk's recent decision to sell flamethrowers to the public. Do I think this is just something of a publicity stunt on Musk's part? Of course -- and who would really care if he started a candy company anyway? Would you buy a candy bar (or an electric car) from this man? What traders do appear to care about is Tesla's outlook after last week's erratic earnings-call performance by Musk. According to Barron's, short interest in Tesla topped 40 million shares Thursday, and then short-sellers tacked on another half-a-million shares or so on Friday. That means there's currently more than $11 billion of short interest in the name -- a lot of dough, gang. An absolute ton. Barron's also quoted Ihor Dusaniwsky of analytics firm S3 Partners as saying that with not all Tesla shares in stock-lending programs, that leaves a mere 6.5 million Tesla shares available for additional shorting. I noted last week (and discussed at Cramer's event on Saturday) that I tried to short Tesla ahead of Musk's earnings call last week and got a "hard-to-borrow" message from my broker. That prompted me to cancel my order, as I didn't care to wonder for possibly hours whether I had entered a valid order or not. I probably would have made some $30 a share on that position as an overnight rental if my order had gone through in a timely fashion. That said, I'm now considering Tesla as a candidate for a small long position. Yes, Tesla needs to ramp up production, could require a capital infusion and might even have to consider diluting its shares. And yes, there are many sound fundamental reasons to expect Tesla to see a very large reduction in valuation. But there's also potential buy interest of more than 40 million shares worth more than $11 billion out there from the stock's short-sellers, who might have to buy Tesla in a hurry on any chunky spike in its price (i.e., a short squeeze). How do you price that in? I truly hate to bet on a stock I dislike, but with the ability to short the name drying up, that removes sell interest at the same time that built-in buy interest from short-sellers is peaking. A short squeeze could come before the fall -- and by "before the fall," I don't mean "before the autumn," but before the fall of Tesla. So, I might just buy a few shares of Tesla to try this theory out. I'm super, super serious, gang. At the time of publication, Guilfoyle had no positions in the stocks mentioned.